Boutique Boucheron, one of Bahrain’s most exclusive boutiques specializing in high end jewellery and watches, is all set to take part in the most anticipated Middle East International Jewellery and Watch Exhibition (Jewellery Arabia 2018). To be held under the patronage of His Royal Highness Prince Khalifa bin Salman Al Khalifa, Prime Minister of Bahrain, the 27th edition of Jewellery Arabia kicks off tomorrow (November 20) and will run for the next four days at the Bahrain International Exhibition & Convention Centre. Boutique Boucheron’s participation this year will include the introduction of various new additions to its luxury jewellery collections. Best known for the embodiment of excellence in its exquisite high-end jewellery and watch making for more than 150 years, Boucheron, a French family dynasty founded by Frédéric Boucheron, has been synonymous with excellence in French Fine jewellery since 1858. Each watch and jewellery creation sublimates their exceptional stones with the precious material of which they are sculpted. Boucheron’s creations sublimate women, releasing the inner beauty and confidence of those who embody grace. The latest additions to The Serpent Bohème Collection, which will be showcased for the first time in the exhibition, are exceptional and stunning pieces of jewellery which incorporates precious stones of the highest quality and are available in Classic Yellow Gold, White Gold and Rose Gold, said the company in a statement. An impressive and elegant luxury watch from the Serpent Bohème Collection that is made up of precious diamonds of the finest quality will also be featured at the exhibition. In addition to the elegant offerings that will be exclusively unveiled at the renowned exhibition, Boutique Boucheron is also set to showcase the latest additions to the Quatre Collection, along with a number of exquisite rings, earrings, bangles, and necklaces from its existing collections as well. 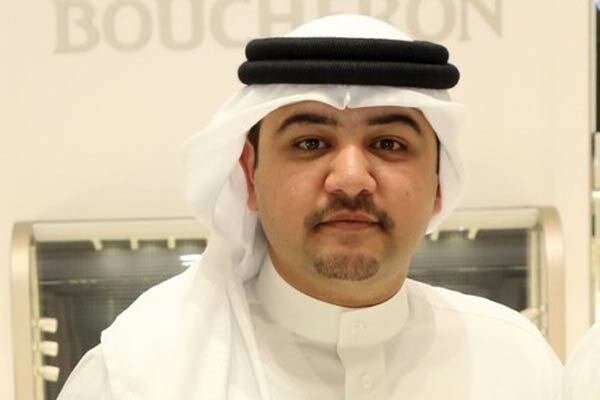 On the upcoming event, General Manager (Bahrain) Mohamed Al Mahmood said: "We at Boutique Boucheron are immensely pleased to be part of one of the region’s most distinguished exhibitions, Jewellery Arabia 2018. With our participation for the fourth consecutive year, it’s a privilege for us to be associated with the Middle East’s prominent jewellery fair which provides an excellent platform for international jewellery houses to connect with Middle East collector’s market." Dubbing the event as a one-stop destination for the company to display the best jewellery designs, Boutique Boucheron said: "This year we are ready to reveal a breathtaking new lineup that is sure to overwhelm, exceed all expectations and allure those with the fine taste in the beautiful. By exhibiting the latest array of our brilliant products in a high-profile event such as this, we fulfill our commitment to keep our collections up-to-date to live up to the expectations of our valuable consumers." "On behalf of Boutique Boucheron, I cordially invite all jewellery connoisseurs, enthusiasts and collectors to visit our stand at the exhibition and to personally witness the exquisite nature of our collections," stated Al Mahmood. Jewellery Arabia is the largest and most prestigious jewellery exhibition in the Middle East, with an incredible range of stunning finished jewellery, luxury time pieces, and precious stones of every size, shape and cut showcased during the 4 day event, said the organisers. Last year, the expo witnessed the largest display of finished jewellery, luxury timepieces, precious stones, antiques, objets d’art, jewellery packaging and technology in the Middle East.